Profile Racing’s Cassette Drivers are what makes their cassette hubs so great. Their 4 pawl design ensures that at least 2 pawls are engaged at all times, meaning that when you apply power to the pedals, it is instantly transformed into power at the rear wheel, unlike lesser hubs that take a quarter to a half a crank’s worth of rotation to engage. Ti drivers shave off over an ounce of weight versus Cromoly. 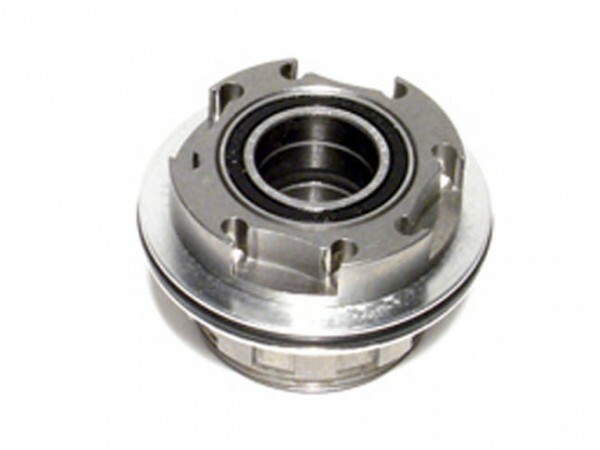 • Aluminum drivers are best suited for race use. Replacement drivers for the Profile Elite Hub. Six-Pawl design. Available in Aluminum, CrMo steel, and Titanium. Single speed driver with Shimano compatible splines also available.